DJ Scream's new "Legend" mixtape features exclusives from 2 Chainz, Migos, Killer Mike, Shawty Lo, and more. DJ Scream of Hoodrich Entertainment has taken a break from hosting ATL's hottest mixtapes to drop a compilation tape of his own: Legend. The new tape is marketed as "a collection of DJ Scream classics and rare exclusives," and the tracklist shows just that. The exclusives include a new Zayoten-produced Migos banger ("Think Twice"), an unreleased 2 Chainz joint produced by Spinz ("Lotta Hoes"), and a new track from Killer Mike ("Saks Fifth"). There are also a few different freestyles that were spat for Scream on-air but had not been put on a record until now. 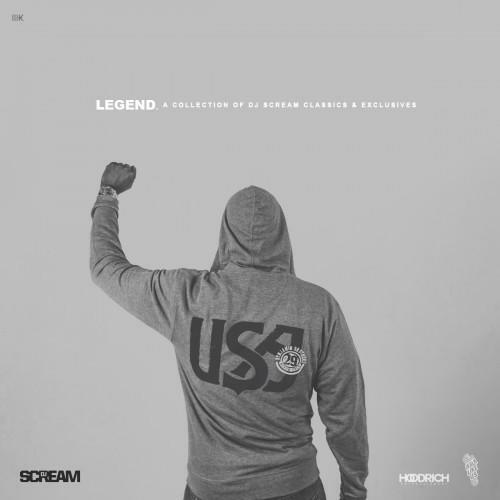 Elsewhere on Legend, Scream gives fans a far-reaching taste of the sounds he's managed to purvey during his tenure at Hoodrich. Download the 17-track tape, and tell us your favorite cuts in the comments.